Living in Canada, it can be easy to take our rights and freedoms for granted, and sometimes we need to be reminded that people in other countries are still struggling and fighting – and this is especially true for the LGBT community. Salvador, written by Rafael Antonio Renderos and directed by Sam Graham, is one such reminder – on now at Toronto Fringe. A Young Man (Renderos) travels to his family’s homeland, El Salvador, to research gay rights violations. There, he interviews Joaquín Caceres (Jamie Johnson), an HIV+ gay man, human rights/LGBT activist and founder of Asociacíon Entre Amigos, and he learns of the history of horrors and routine rights violations suffered by LGBT people, all the while repressing his exuberant gay self. Appearing throughout the play is the Spirit (Jaime Hernandez-Lujan), a stunningly beautiful and vivacious drag queen. Through verbatim theatre (the interview), storytelling and drag performance, the journey unfolds as the Young Man corresponds with his lover back home in Toronto. And he ends up learning much more than he expected – mainly, about himself. Renderos is beautifully idealistic, curious and open-hearted as the Young Man, struggling with his own sexual and gender identity even as he hears about Joaquin’s fight. Johnson gives Joaquin a strong sense of passion and drive, tempered with good-humour and warmth; this is a good man risking his life in the fight for human rights. Hernandez-Lujan (also known as drag performer Lucinda Miu) gives a lovely performance as the Spirit, going from flirtatious, entertaining and whimsical to tender and melancholy throughout her various numbers, as she plays various characters, including Joaquin’s mother. It is as if the Spirit is the Young Man’s true self come to life – and when he puts his own internal repression and fear aside, he lip syncs and dances with such release and joy that I couldn’t help but be brought to tears. 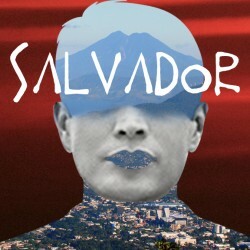 Salvador is a moving, entertaining and eye-opening story of LGBT cultural and self-discovery. The show continues at the Annex Theatre until July 13 – check here for exact dates/times.